New York State Crime Stoppers, acting as a resource for the Town of Greenburgh Police Department are offering a reward of up to $2,500 for information that will lead to the arrest and conviction of the person responsible for a shooting of a 25 year old male old male victim. The shooting occurred on August 5, 2018 at approximately 1:08 a.m. in the vicinity of 136-142 North Evarts Avenue in the north Elmsford section of the Town of Greenburgh, NY. The twenty five year old victim was discovered by police at a local hospital at 3:00 a.m. that morning. New York State Crime Stoppers, acting as a resource for the Village of Port Chester Police Department are offering a reward of up to $2,500 for information that will lead to the location, arrest and conviction of a woman wanted for a hit & run pedestrian accident. A woman described as having light skin and dark hair that was driving a light colored or silver SUV believed to be a Ford Explorer or Expedition is wanted for a Hit and Run pedestrian accident at 4:55pm on Tuesday, July 17, 2018. A man was struck while crossing North Main Street in the Village of Port Chester. The vehicle fled the scene on to Highland Avenue. New York State Crime Stoppers, acting as a resource for the City of Syracuse Police Department are offering a reward of up to $2,500 for information that will lead to the location, arrest and conviction of Wendell V. Griffin, a black male, dark skinned, 150 lbs. 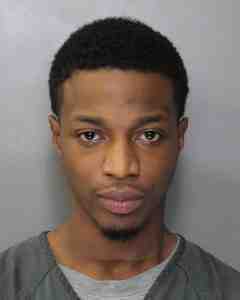 Wendell V. Griffin is wanted for a murder 2nd and robbery 1st that occurred on June 3, 2018 at approximately 500hrs at 2500 Erie Blvd East, Syracuse, N.Y. The victim was sleeping in his vehicle when Griffin and an associate decided to rob him. The victim was awakened and struggled with Griffin and his associate and was shot in the back of his head. New York State Crime Stoppers, serving as a resource for the Orangetown Police Department is offering a reward of Up To $2,500 for information leading to the arrest and conviction of the person responsible for the hit & run of a pedestrian in Pearl River, NY. On Friday, June 15, 2018 at approximately 5:00 pm., a pedestrian was the victim of a hit and run that occurred at the intersection of Franklin Avenue and S. John Street in Pearl River, NY. The suspect vehicle was described as a Silver Hyundai SUV bearing an unknown New Jersey registration. The operator of the vehicle was described as a white female, wearing glasses last seen driving the vehicle Westbound on Franklin Avenue. The person struck by the vehicle was transported to Good Samaritan Hospital with serious physical injuries. Anyone with information regarding this incident should immediately call the NYS Crime Stoppers Hotline at 1-866-313-Tips (8477). Callers can remain anonymous. We don’t need to know who you are, just what you know. In order to qualify for the reward you must call the hotline number, provide your information and obtain your confidential ID #. Information must lead to an arrest and conviction. 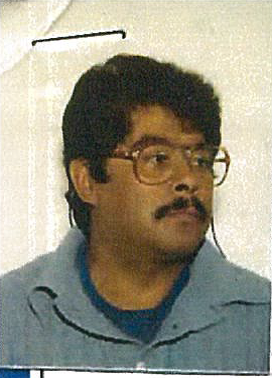 A reward of up to 2,500 is being offered by New York State Crime Stoppers for information leading to the location of Nahum Zapata (pictured herein) who is alleged to be responsible for the shooting of Humberto Carillo which occurred on June 15, 1992 in the area of 413 South William Street in Newburgh, N.Y. Anyone with information is asked to call the New York State Crime Stoppers Hotline.